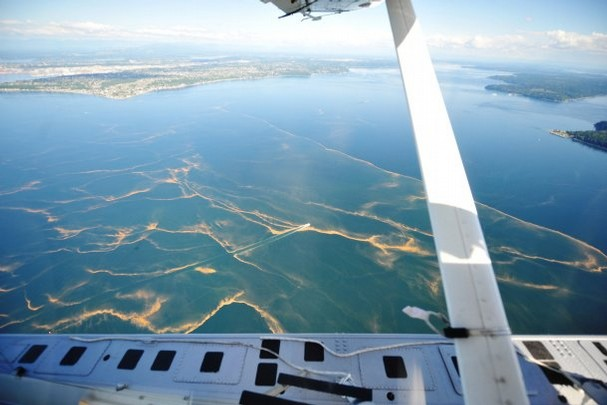 Team members for Eyes Over Puget Sound, a Washington Department of Ecology program, were excited to discover and report on a second major plankton bloom during their flight this week. 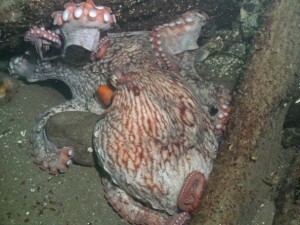 “The real show came at the end of the day when we got to Edmonds and started to see a bright orange Noctiluca bloom. It was huge! It persisted all the way to South East Passage. It was the most extensive bloom I have ever seen. Every direction you looked, there it was. It’s as if Puget Sound was on fire! The report provides all kinds of good information, which I will review more carefully when I get the chance. 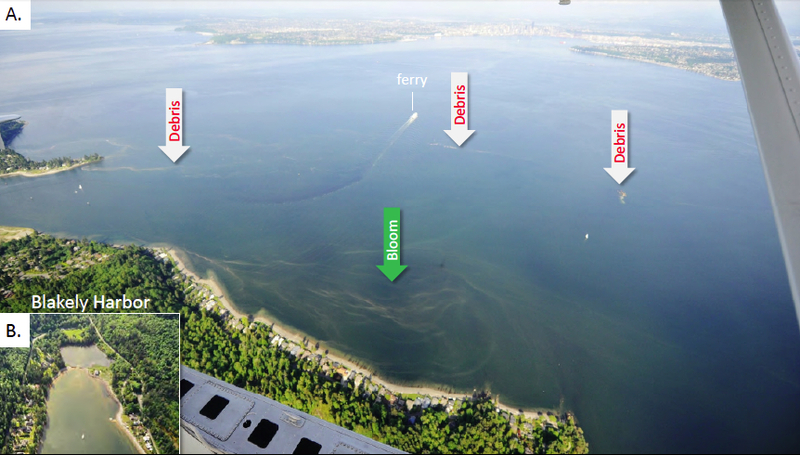 General observations include red-brown blooms in Port Townsend Bay, Discovery Bay and Bellingham Bay. 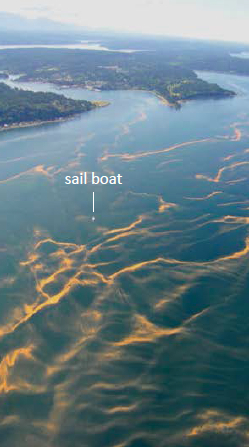 Large mats of accumulated plankton were seen in Samish Bay. 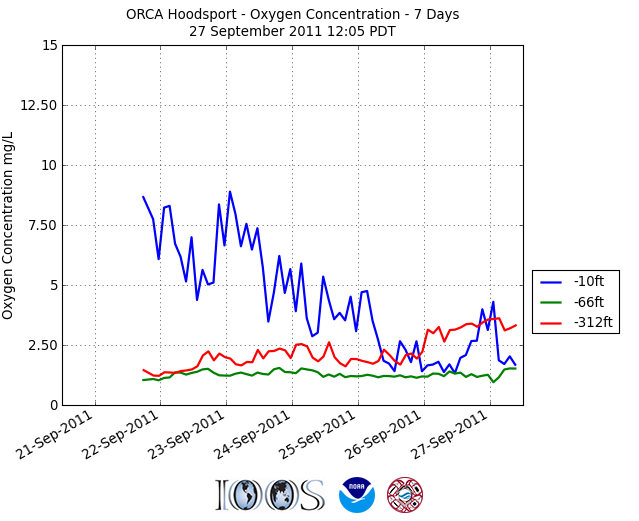 Clusters of jellyfish were spotted in Budd, Totten and Eld Inlets, all in South Puget Sound. 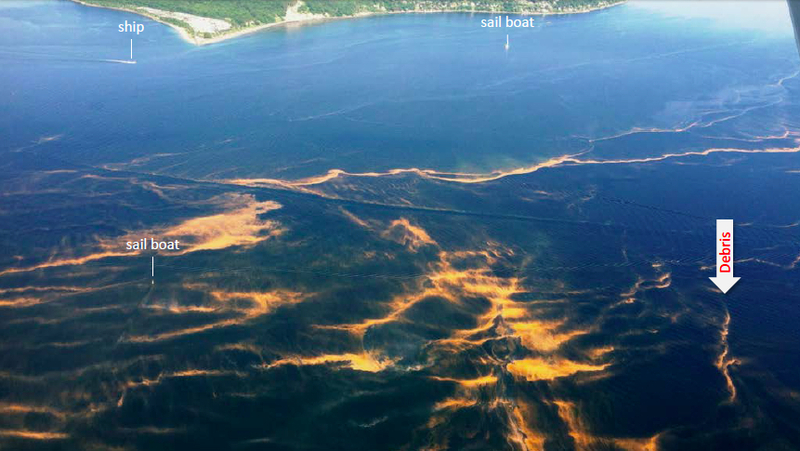 References were made to a previous Noctiluca bloom, which we discussed in Water Ways May 23. Also check out the previous EOPS report. 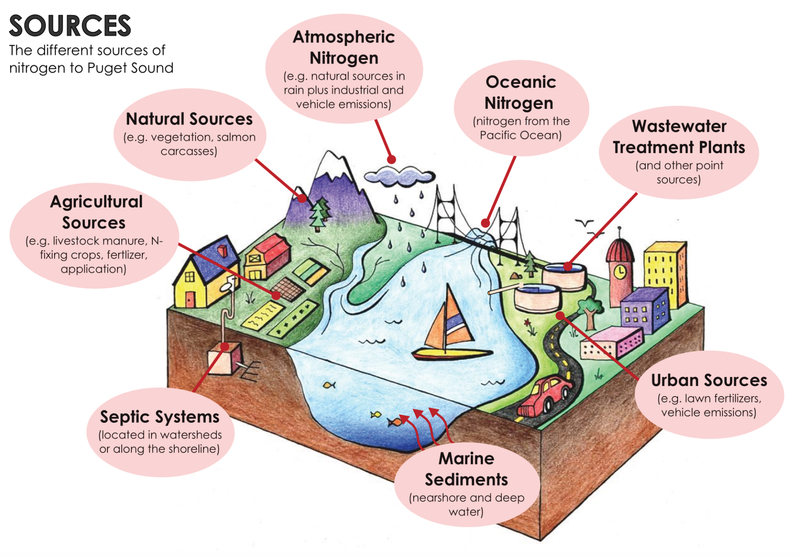 EOPS provides aerial observations of sea surface conditions between landings, when water is sampled for a variety of conditions. 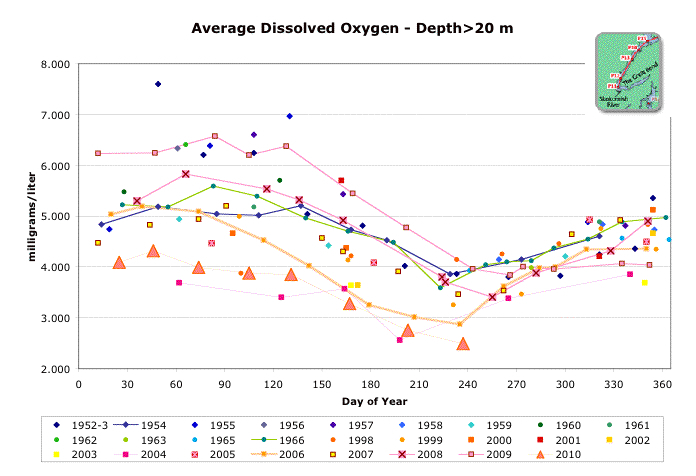 Weather and general oceanographic conditions also are reported after each flight. 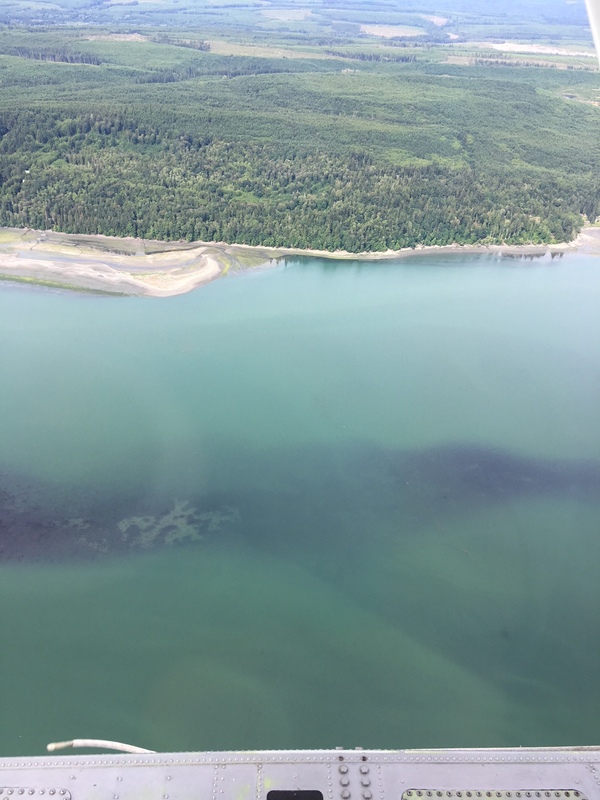 Plankton blooms reported last week from numerous locations in Puget Sound were confirmed and examined from the air Monday by Christopher Krembs and his colleagues at Eyes Over Puget Sound. 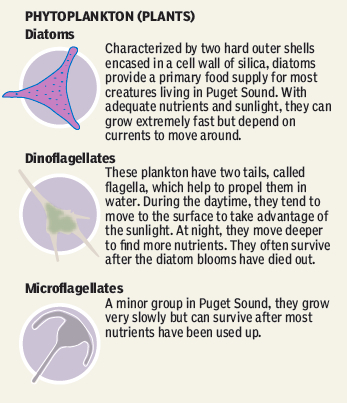 The marine monitoring group for the Department of Ecology reported notable Noctiluca blooms, as I reported in a story in Friday’s Kitsap Sun. 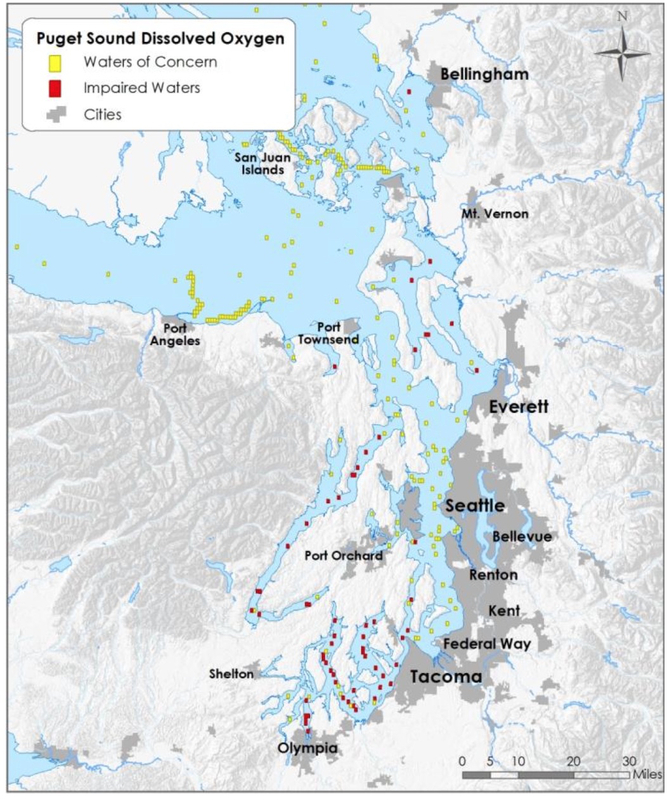 The blooms are relatively harmless and not unexpected, given the mild weather and freshwater flows that bring nutrients into Puget Sound. They are earlier than in recent years, however. 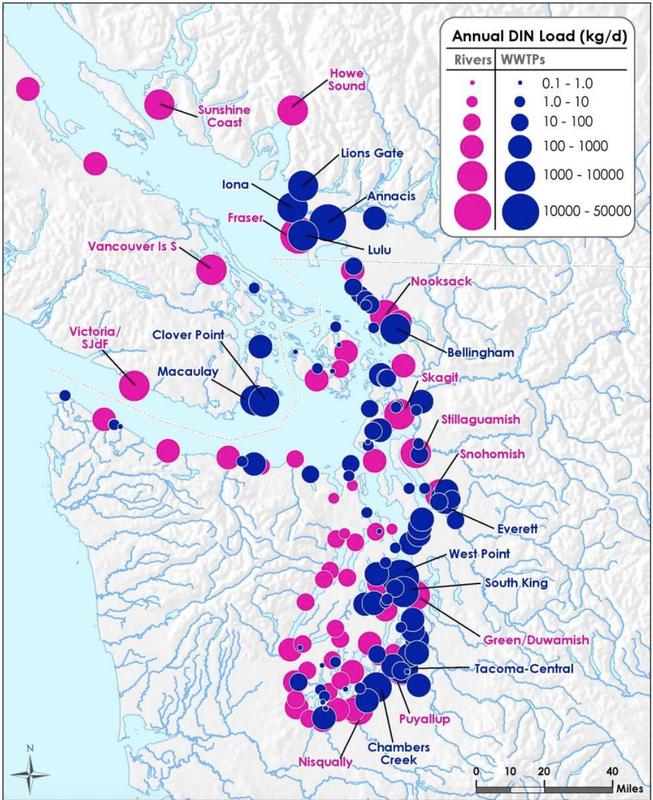 Christopher also observed heavy sediment flows coming out of the Fraser River near Vancouver and moving south along the Canadian border. 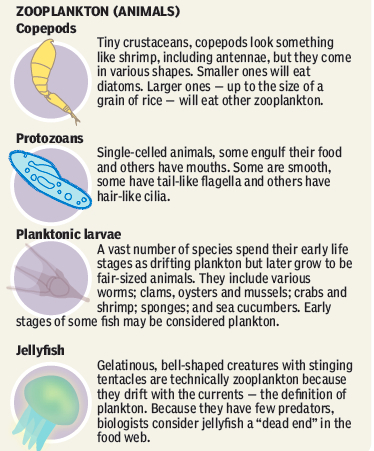 These and many other observations can be reviewed by downloading the latest report on Ecology’s website. 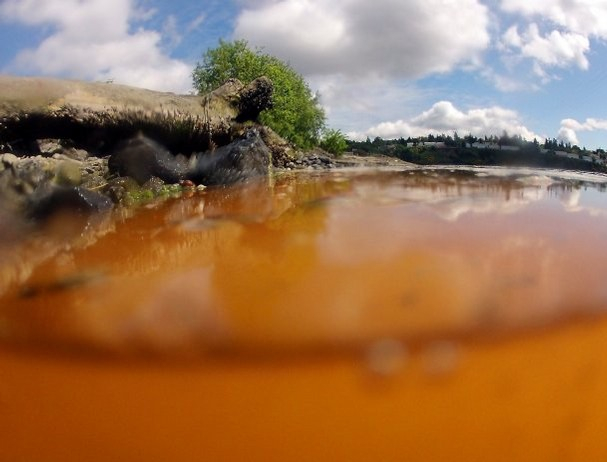 A brightly colored plankton called Noctiluca was observed last week along the shore of Bremerton’s Evergreen-Rotary Park. / Kitsap Sun photo by Meegan M. Reid.